Here in Japan, donuts not only help you put on a nice protective layer of fat to cushion you against hard seats, cold nights and being mistaken for a fashion model, they also offer protection against evil spirits and wild animals! 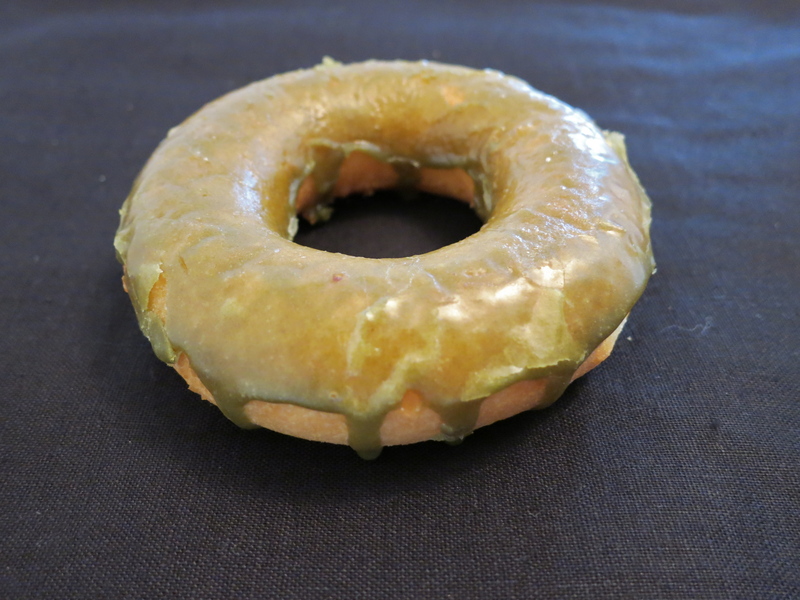 The glaze on this seasonal special from Mister Donut is oddly green because it’s flavored with yomogi (better known as mugwort to ye of English-speaking persuasion). I was quite gratified to discover that evil spirits would avoid me while I was eating this yomogi donut (they apparently dislike the smell), that it would rid my stomach if impurities (including, I hope, all the deep fat fried goodness of the donut itself), and cleanse my blood (which would be a good thing after trying a vegetable juice and Okinawan black sugar shō-chū cocktail last night).